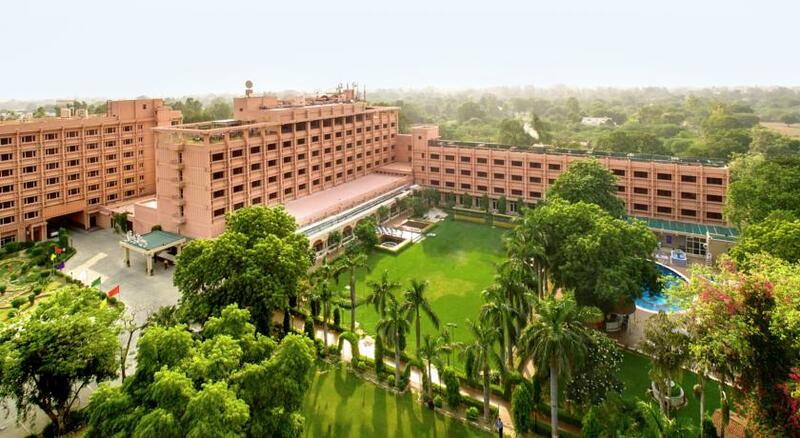 For more than three decades, this hotel in Agra has been home to a number of visiting dignitaries, distinguished guests and celebrities. Agra hotel with its Standard Double Rooms, Deluxe Rooms and Suites, many of them offering a view of the Taj Mahal, modern amenities and gastronomic delights, the Hotel Clark Shiraz, Agra continues to remain a house of traditions and hospitality, where personal care is the hallmark of service. 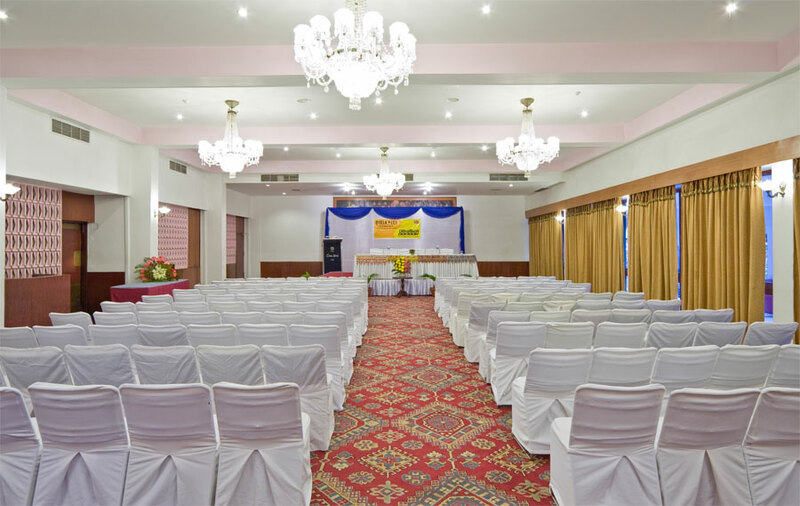 Hotel Clarks Shiraz in Agra features 237 lavishly appointed and centrally air-conditioned rooms and suites including 80 Deluxe Rooms (23 TAJ FACING) , 155 Superior Rooms and 2 Suites. 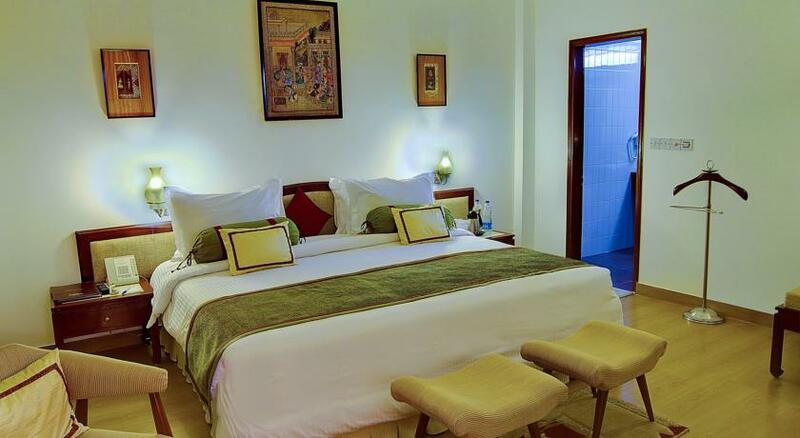 Superior Rooms: All rooms are centrally air conditioned with paid mini bar, tea coffee maker, television with remote control. Direct dialing facilities. Deluxe Rooms: All rooms are centrally air conditioned with paid mini bar and savoury basket, television with remote control, direct dialing facility, tea / coffee maker, safe lockers, hair dryers, upgraded toiletries / amenities and fruit basket on order. 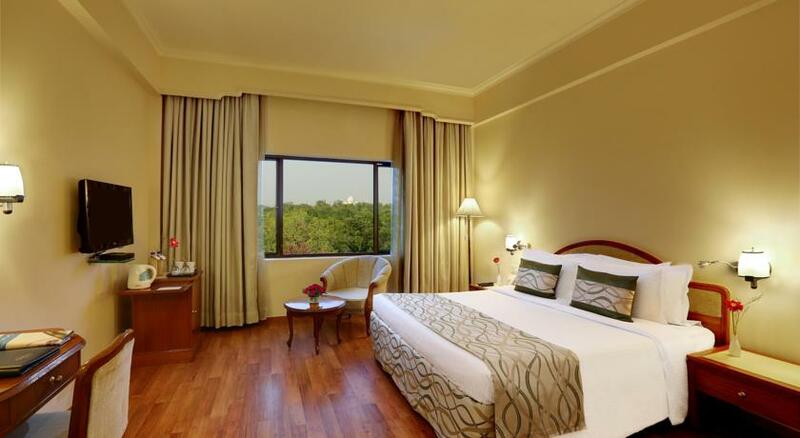 Taj Facing Rooms: Hotel Clarks Shiraz in Agra features 23 Taj facing state of art rooms. Their strategic positions offer an exclusive view of the amazing Taj Mahal. Room facilities include paid mini bar and savoury basket, television with remote control, direct dialing facility, tea / coffee maker etc. 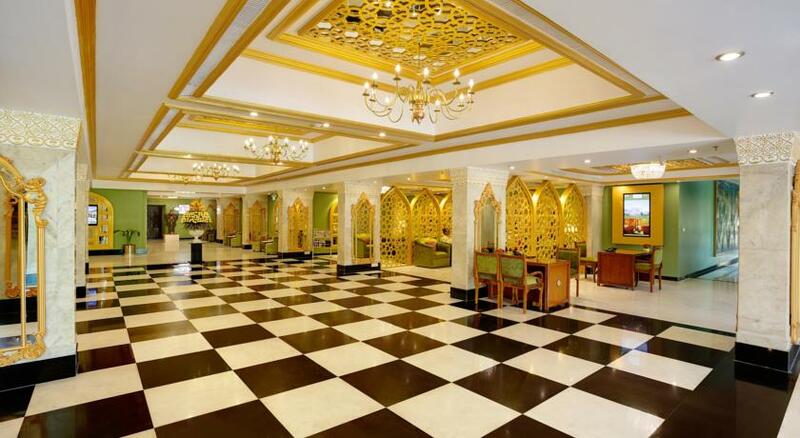 These include the Buffet Dining Hall, Mughal Bar, Khayyam Bar, Coffee Shop, Tea Lounge, Mughal Room - a roof top multi cuisine speciality restaurant, Poolside Bar-be-que. 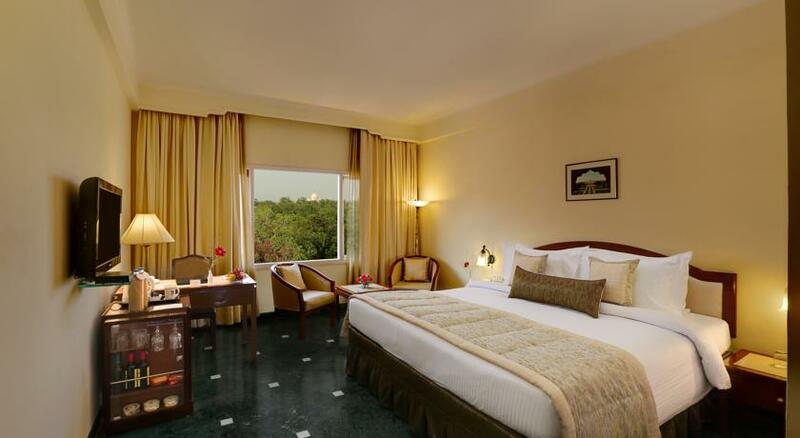 Roof top rendezvous, the Mughal Room, gives you a breath-taking view of the Agra Fort and Taj Mahal. It is in this setting the master chef of the hotel puts together unusual and innovative Continental, Mughlai and Chinese specialities to delight you. 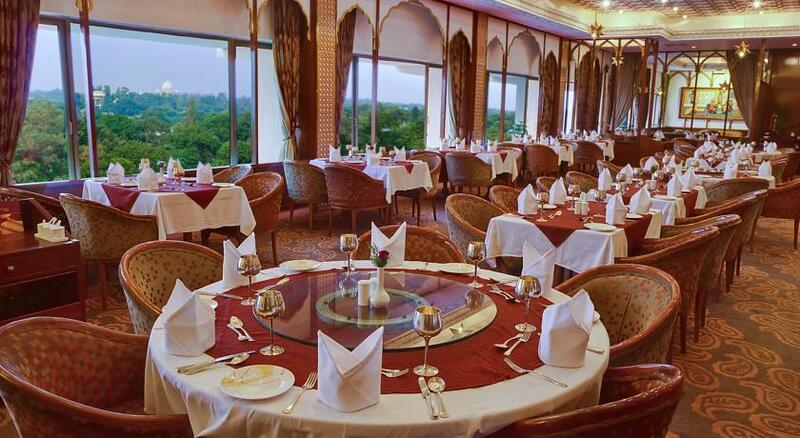 Apart from operating an a-la-carte menu the Mughal Room provides a variety of appealing beverages. The Coffee Shop: Coffee Shop is located at the lobby level, it opens between 6.00 a.m. till midnight. 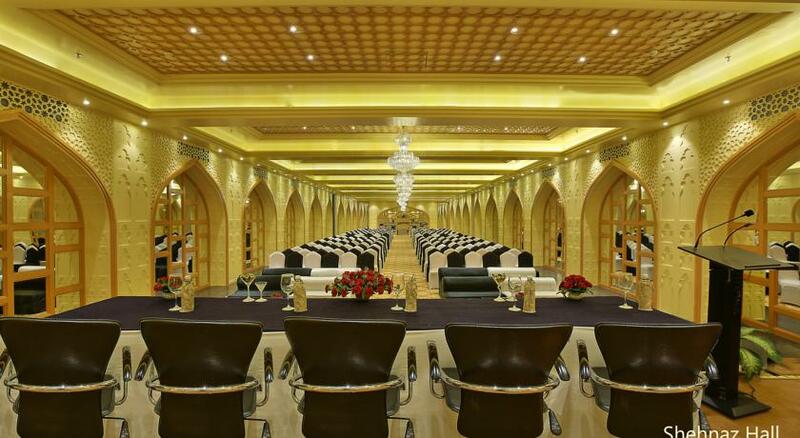 It is a perfect place for a quiet meal in the most ethnic ambience. You can choose, from a variety of snacks to mini meals, combo meals and the all day long menu. The Buffet Restaurant: Buffet restaurant at the hotel is open for breakfast, lunch and dinner, it provides a multi -cuisine spread with a wide variety of vegetarian and non-vegetarian dishes including starters and desserts. It also serves an exclusive variety of domestic and imported wines and spirits to order. The Mughal Room: It is a multi cuisine speciality restaurant on the rooftop with a clear view of the Taj Mahal and the Agra Fort. 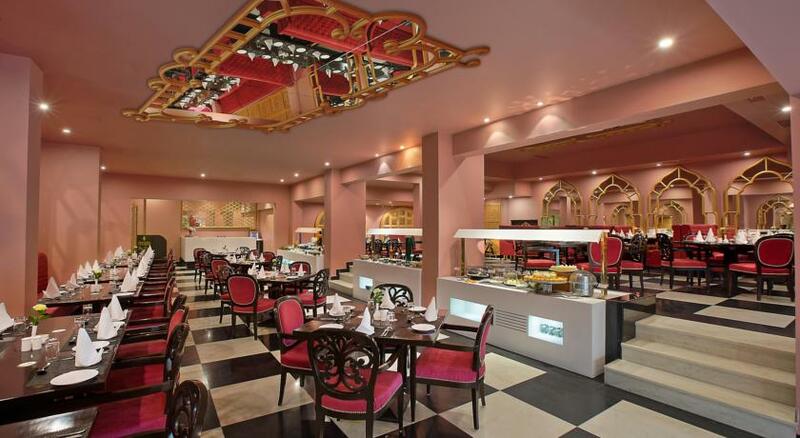 The Mughal Room in its scenic setting offers a highly selective range of dishes from the Mughlai cuisine, Chinese cuisine and Continental cuisine. 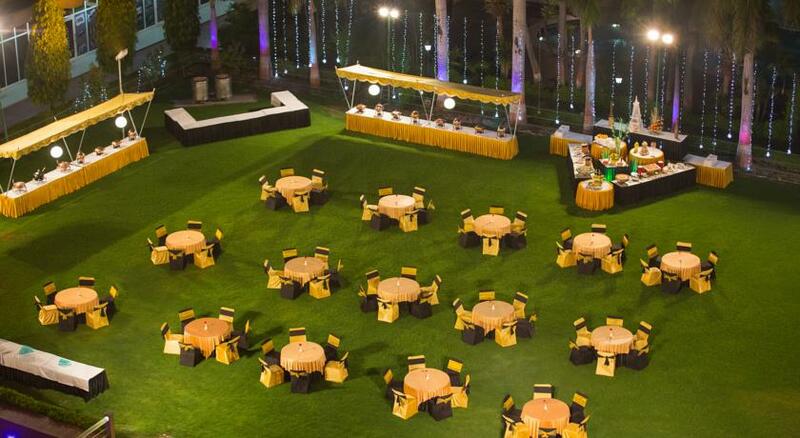 It also serves a variety of beverages and the setting is complete with live Ghazal (Indian classical music) every evening. The restaurant is open for lunch between 12:30 p.m. to 14:45 p.m. and for dinner between 7:00 p.m. to 11:30 p.m.
Mughal Bar: The roof top bar adjacent to the Mughal room with an amazing view of the Taj Mahal. Order yourself from a wide variety of domestic and International beverage. A perfect ambience to wind yourself and relax in the evenings. Open for lunch & dinner. 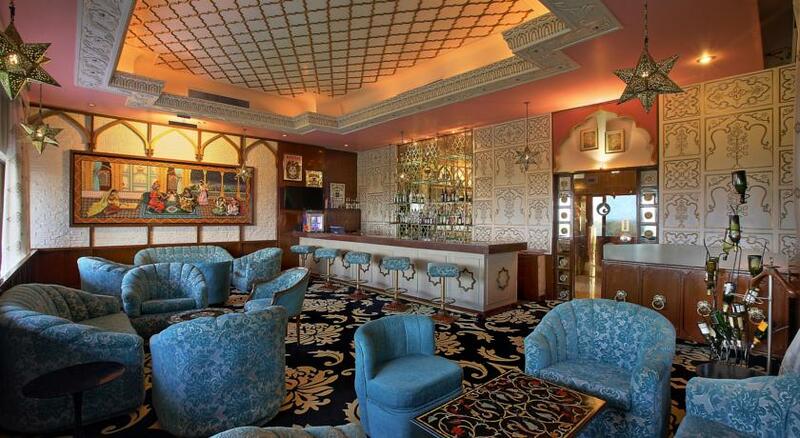 Khayyam Bar: Opening into the lobby, the bar is a perfect place to relax with a drink of your choice from the widest range of domestic and international wines and spirits. Ask the bar tender for your choice of cocktails and Mocktails. Business centre is located at the mezzanine floor and offers the services of internet connectivity, fax, photocopying and other secretarial services on request. Contact Extn. 391. 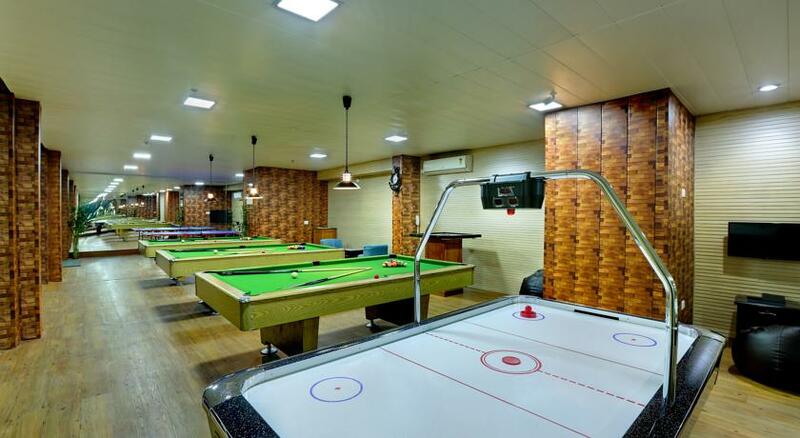 Open between 10:00 a.m. to 10:00 p.m.
Entertainment Centre is located at the mezzanine floor adjacent to the Business Centre, it offers indoor game like table tennis, pool, air hockey etc. Contact Extn. 337 for details. Open between 12:00 noon to 8:00 p.m. Swimming Pool is located amidst lush green lawns, outdoor pool with a minimum depth of 3 feet to maximum of 8 feet. There is a baby pool as well adjacent to the main pool. Quench your thirst at the pool side bar and also order for a bite. Contact Extn. 335. Open between 6:00 a.m. ti1l 9:00 p.m. Diving is Strictly Prohibited. Use the Pool in Swimming Costumes only. 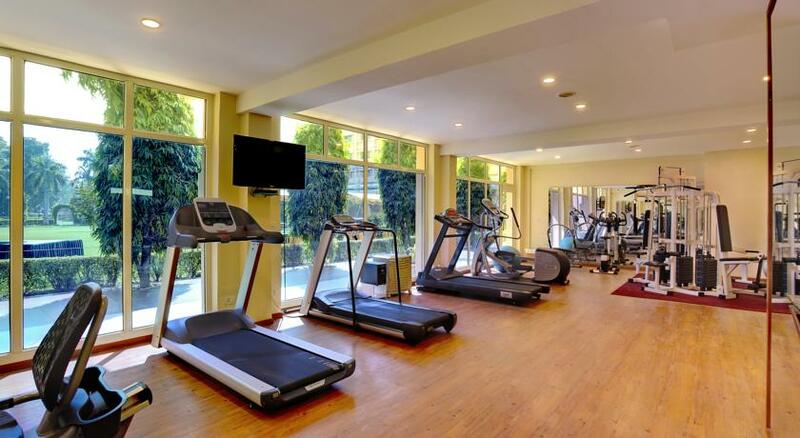 Adjacent to the swimming pool having multi-gym, treadmill etc. along with Steam Bath and Jaccuzi. Contact Extn. 335. Open between 6:00 a.m. to 8:00 p.m.
A traditional Kerala Massage with Ayurvedic oil. Truly relaxing and rejuvenating separate facilities for Ladies and Gents. Contact Extn. 335. 0pen between l0:00 a.m. to 7:00 p.m.
For all kinds of hair styling and beauty therapies contact Extn. 336. Open between 10:00 a.m. to 8:00 p.m.
Hotel Clarks Shiraz is located about 2 kms from the Taj Mahal, in the heart of Agra, and yet free from its noise and bustle, The Clarks Shiraz is about 231 km. from the Airport and 04 km. from the Railway Station.